The Haines Borough Police Department has been authorized once again to respond to calls outside the Haines townsite in certain emergencies. At a meeting Tuesday, the Haines Borough Assembly decided police can respond to calls outside the townsite if there is an articulable crime in progress or an imminent threat to life or property. Two weeks ago the police department was ordered to not provide service outside the Haines townsite. Since then, there have been several incidents reported to the police department that have gone without responses, including multiple car accidents and a home invasion. When Haines police did respond to a call from a person trapped in a vehicle outside the townsite, Borough Manager Debra Schnabel took disciplinary action against Police Chief Heath Scott for violating the borough’s order to limit police service to the townsite. During the borough assembly meeting Tuesday, Schnabel said it was a very difficult decision to make. “I hope that you can appreciate that it’s very difficult to ask any first responder to go against their training and to go against their oath,” Schnabel said. Over the last year, the Haines Borough has been trying to figure out the best way to deal with police service outside the townsite since the Alaska State Troopers removed its sole “blue shirt” officer from the Chilkat Valley. In October, residents living within the borough but outside of town rejected a proposal to increase their property taxes in order to fund an on-call police service area. As a result, the borough ordered the police to stop responding to calls out the Haines Highway, Lutak Road and Mud Bay Road. 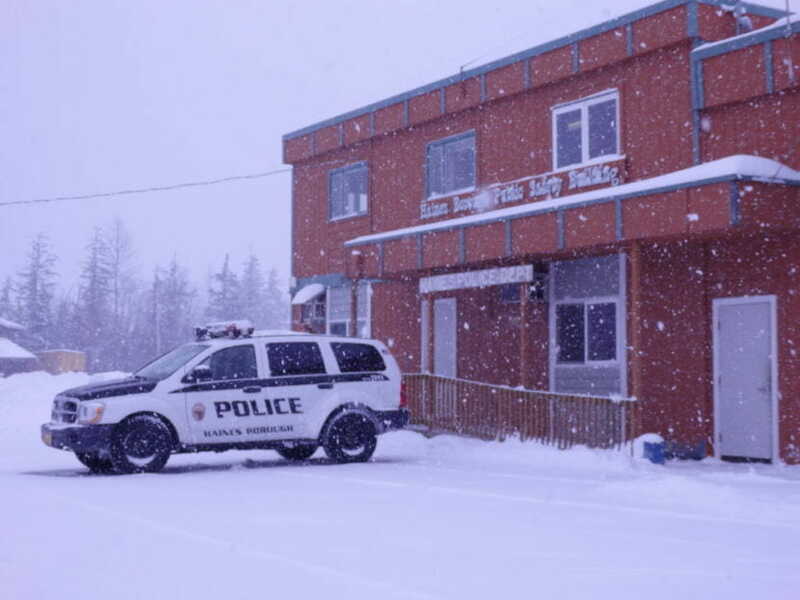 The Haines Borough Charter limits local police service to areas within the townsite. This week, Chief Scott received a request to provide service to the entire borough from Maj. Andrew Greenstreet, the acting director of the Alaska State Troopers. The letter from Greenstreet describes the Haines Borough Police Department as the primary law enforcement agency of the borough with the state troopers providing assistance on a case-by-case basis. Assemblyman Tom Morphet said the Alaska State Troopers have not been consistent in their policing policy. Morphet questioned why Alaska State Troopers would say that policing the entire Haines Borough is the responsibility of the Haines Police Department when state troopers provide service alongside local police in the Matanuska-Susitna Borough. Ultimately, the assembly voted to authorize police to respond to calls outside the Haines townsite if there is an articulable crime in progress or an imminent threat to life or property. The assembly also voted to have the borough’s attorney respond to Greenstreet’s letter.